After backpacking for miles on end, my feet are killing me! Not only do they hurt from pounding dirt, but my feet also swell from the heat, and my lower back is tired from carrying a 30 pound pack. I've been using Teva's for awhile, but after a few hours the straps crossing over my pinky toes start to rub - I usually end up putting my socks back on or band aids over my toes. I figured flip flops would eliminate that issue. Even if you aren't a backpacker, but still either car camp, or simply need comfortable flip flops for around town, these offer a sigh of relief for your feet. As soon as I pulled these out of the packaging, I did notice a distinct plastic/rubber smell. It threw me off for a second but after a few minutes I didn't notice it at all. The next biggest thing I noticed was how LIGHTWEIGHT these shoes are! As an avid backpacker, weight is everything. 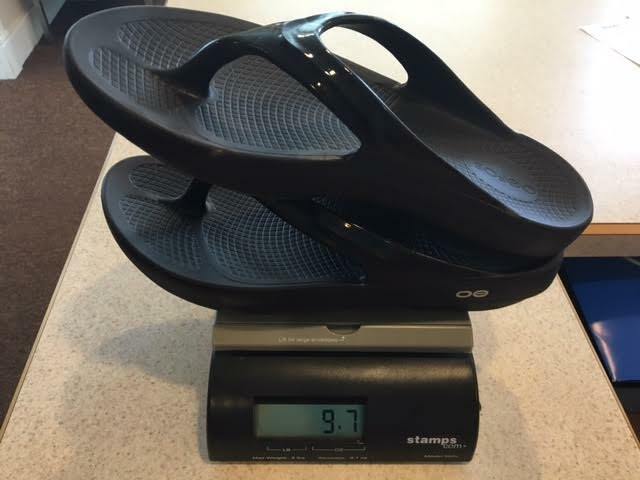 The OOFOS OOlala weigh in at 9.7 oz! These are so light they will float. 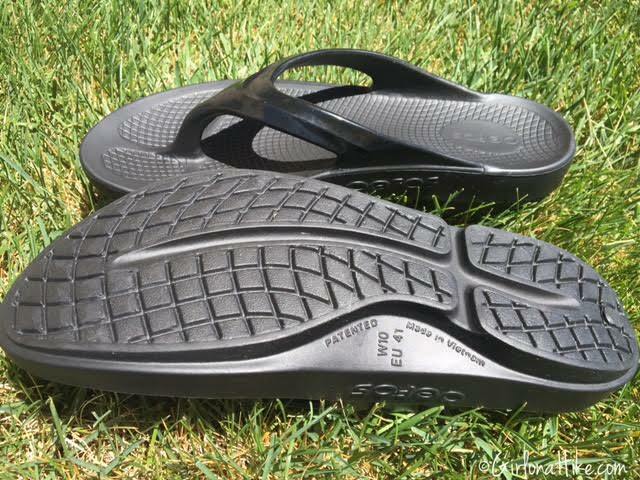 You can see from this angle that these OOlala's aren't completely flat like a traditional flip flop, which is good. They have a slight heel, and the type of foam used (OOFoam, of course) is designed to absorbed 37% more shock with every step compared to traditional footwear foam. Another plus to these OOlala shoes are the super high arch support. I would say that I have a medium arch, so I could definitely feel the support. It was almost too much for me, but after an hour of wearing these, I couldn't tell the difference. My feet seemed to sink into the shoes, and the foam molded around my arch. This arch support helps alleviate lower back, ankle, and knee pain. Definitely a plus for someone who hikes an average of 15 miles per week! After hiking or backpacking all day, my feet end up smelling as well. 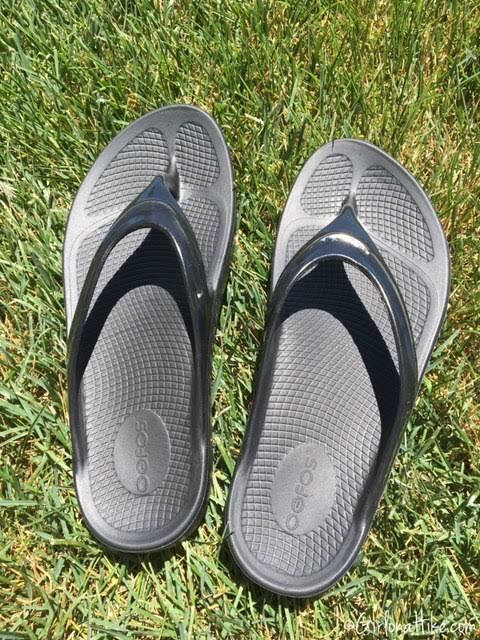 The OOFOS shoes have moisture and bacteria-resistant cell foam, making sure those nasty little things don't create a home in the footbed. The OOlala's are also machine-washable. Hanging out in the yard after a big day hike. You can see that underneath my big toe is a different pattern. This soft, conforming toe post eliminates chafing. Overall impression is that these will be perfect for taking on backpacking trips, car camping, or even for the office (I don't have a dress code in my office). These would be great shoes for those with back or knee pain, or even if you are pregnant. 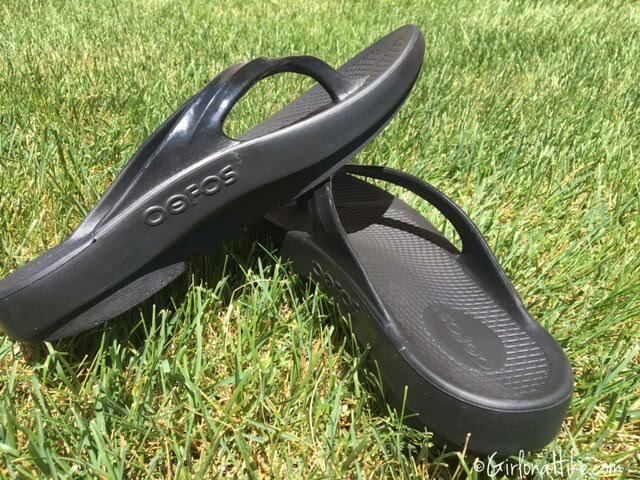 You really can't go wrong with OOFOS. With over 13 styles of shoes to choose from in the Women's department, there's sure to be a style for you. 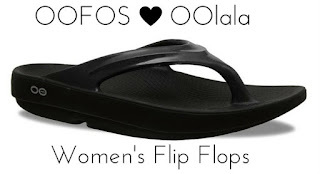 To keep up with OOFOS in the news and see the newest styles, be sure to follow them OOFOS Pinterest, Instagram, Facebook, & Twitter. I love my oofos. In fact I just got my second pair. They are great for recovery after a long run. I always pack these in my check-in gear bag when I'm doing a half-marathon or marathon, that way I just slip them on after I finish the race.